for $299,000 with 3 bedrooms and 3 full baths. This 2,934 square foot home was built in 1996 on a lot size of 0.5000 Acre(s). Spacious 3 bedroom, 3 bath home in a desirable neighborhood close to downtown Ludington. 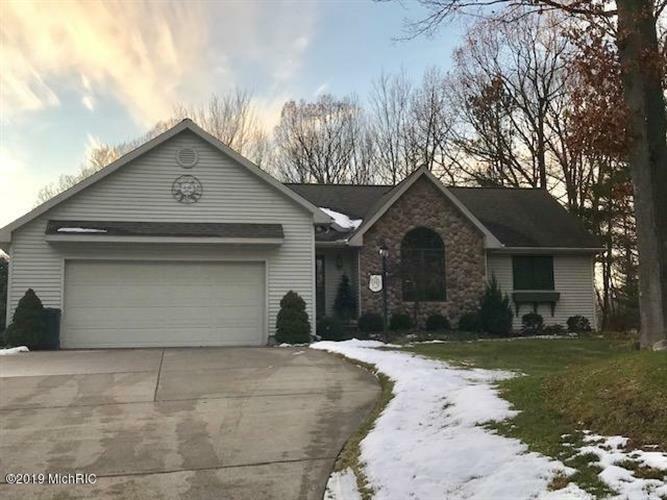 This home features a living room with a vaulted ceiling and beautiful stone fireplace, updated kitchen with Corian countertops and walk-in pantry, den/office, master suite and a large family room with lots of natural light. Very well maintained home with newer furnace and central air systems, a whole house dehumidifier, water softener, and much more! Contact Diana Kovalcik - Greenridge Realty, or for a showing today!